Florence founded The Comfort House many years ago on a day when she decided to pick up the trash near her home. She sparked the interest of neighborhood kids—and Florence invited them to join in her efforts. After a day of friendship and shared purpose, Florence invited the kids to her home, and Florence’s Comfort House was born. The Comfort House is a place where these kids are always welcome. Florence nurtures them physically and emotionally with food, love and truth. Her passion is to help them live a better life – providing structure and a strong push towards education. In her words, she wants all of her kids to have "a good life...a chance to grow and prosper and have a loving family." To Florence, "﻿The Comfort House is Light﻿." The kids come to spend time and get away from the darkness in their own situations. This darkness may be represented by a lack of food and care, the absence of someone to listen, or the danger present in a neighborhood frequented by drug dealers. Many times the people knocking on Flo's door are wonderful neighbors from low-income families who just need a boost. Flo provides love, laughter and a protected space. She truly cares about each person who steps through her doorway, and the darkness is left at the threshold. Florence gives of herself freely. Aside from providing kids with basic necessities, she endeavors to help them help themselves. She recognizes that a substantial part of succeeding in life involves a passion for education and achievement. 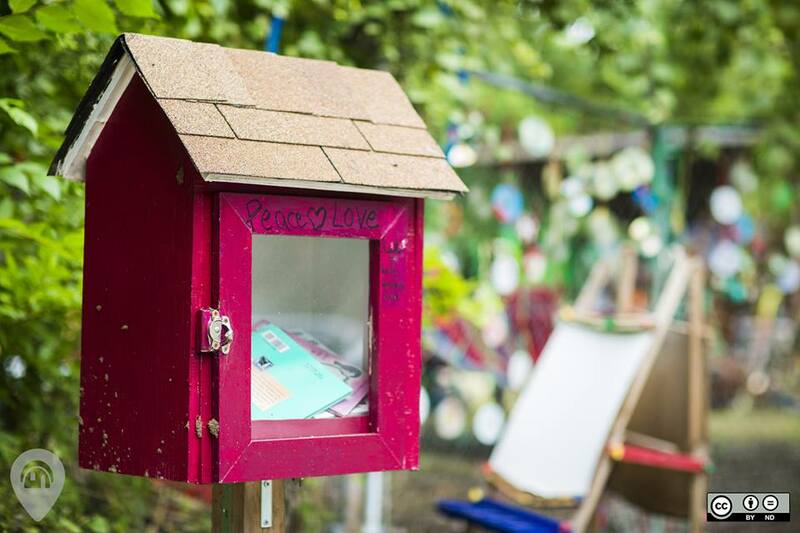 To give kids a good start in this area, Florence has set up an open-library at her house where kids can sit and read donated books, or take them home to keep. The program helps the kids learn to enjoy reading, which translates to better grades in school. Florence expects her kids to give fre﻿﻿ely, too. In h﻿﻿er words, her kids "work to learn self-esteem through achievement." The kids who come through the doors of the Comfort House are expected to recognize the struggles of others, and do what they can to help. This may involve raking leaves, carrying groceries, or painting a fence. The kids identify need in their community and act to address it independently. This allows them to put into practice the ideals Flo is conveying, and to feel good about their efforts. The values that Florence applies to herself and her kids have meaning in all of our lives. Florence extends an open invitation to all adults and their families to "give of themselves and to volunteer with a loving heart." Take a look at the accolades Florence's Comfort House has received. Your Donation Will Help Florence's Comfort House Achieve Its Goals!